Collide.com — Directed by Craig Gillespie and based on unbelievable true events, the darkly comedic I, Tonya tells the story of American figure skater Tonya Harding (Margot Robbie, in a truly stand-out performance and one of the best of 2017), who went from being the first American woman to complete a triple axel in competition to being a part of one of the most sensational and infamous scandals in sports history. Harding’s career as a skater was as challenging as her home life, and even though she had some major highs that made you want to root for her, she seemingly just couldn’t get out of her own way. 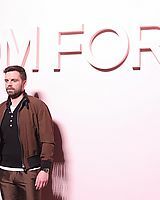 At the film’s Los Angeles press day, Collider got the opportunity to sit down with actor Sebastian Stan (who gives a terrific performance as Harding’s mustachioed and impetuous ex-husband Jeff Gillooly) to chat 1-on-1 about why he wanted to play this character, what he was most excited and most nervous about, the impression he got from meeting Jeff Gillooly, having Margot Robbie as a scene partner, and what it means to be a part of the awards conversation with this film. He also talked about how things are going on Avengers 4, the insanity of the 10-year anniversary party that took eight months to plan, and why he feels so blessed right now. Collider: When you read a script this good and a character that you know will be great to play, it must be so hard to not that still have to audition and not know whether you’ll get the role. 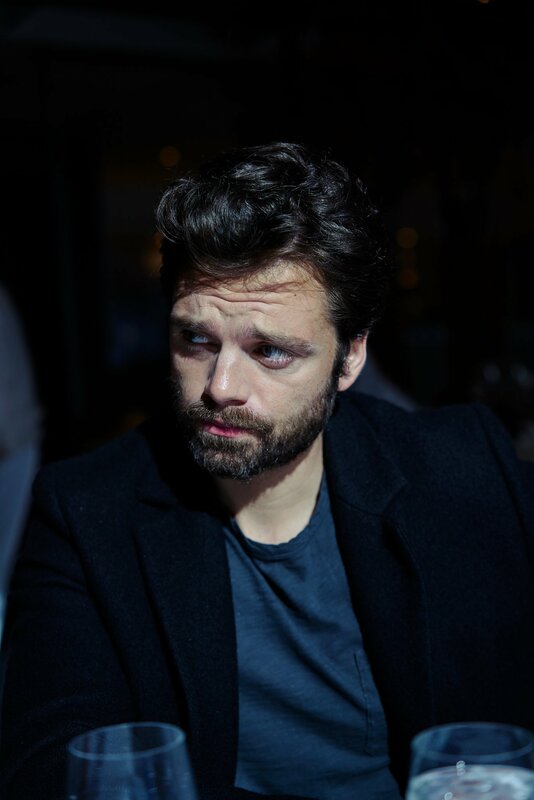 SEBASTIAN STAN: That’s a good question. I haven’t heard that one yet. Yeah, it is hard. You do get attached to it, absolutely. You recognize that it’s a good script, and if it’s a good script, you know you’re not the only one going after it. I’ve been in so many crazy experiences in my life. I was always moving, when I was a kid. When I look back, it’s hard for me not to feel that certain things just happen for a reason. I don’t know. I have no other explanation. After I had a Skype with Craig [Gillespie], I didn’t think I was gonna get this part because they were talking to a way bigger name, and it was gonna go that way. I only heard, three weeks after my Skype with him, that they were still interested in auditioning me. That’s when it started. Once you signed on for this role, what were you most excited about getting to do with this character and what were you most nervous about? STAN: There was a lot of nerves. Excited and nervous go hand in hand. Because it was a real person and a real incident, it seemed like there was a huge mountain of information to tackle. I had to really be a detective and go out there and find everything out, so that’s what I did for a month and a half. I scavaged the internet and I watched every single performance I could find of her skating, just to see if I could capture a glimpse of Jeff on the side ‘cause there was not a lot on him. I got as much as I could, and then I met with him, and that was helpful. Meeting Jeff Gillooly must have been weird. STAN: It was very weird, only ‘cause I felt like I was living with him on my TV, and then suddenly he had materialized in front of me, except 25 years later. But it was important because I had to play him from 20 to 50, so I needed to see where he is, whether he regrets things, how he feels now, looking back, what he looks like now and whether he took care of himself. There were all of these questions. Did he express whether he feels like he’s a very different person now and that all of that is long behind him? STAN: I don’t know that he said that, but I know he felt very regretful about how things ended and about how things went down. He’s not a guy who wears his emotions on his sleeve. He keeps things very close to himself. He’s very hard to read, in certain ways. I think it’s very sensitive for him to revisit that time. That’s probably not a time in his life he wants to relive, especially with a movie. STAN: If you’re changing your name, yeah. The relationship between Tonya Harding and Jeff Gillooly is very intense and volatile, at times. What was it like to have Margot Robbie to go through this with? 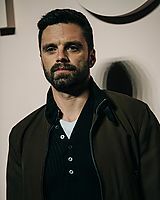 The actor Sebastian Stan sat at a window table in the Sea Grill restaurant on a recent Tuesday afternoon, overlooking the skating rink at Rockefeller Center. Mr. Stan was asked if he had skated here. 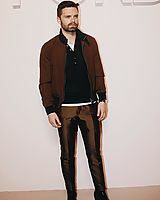 Mr. Stan, perhaps best known to film audiences as Bucky Barnes (a.k.a. the Winter Soldier) in Marvel’s “Captain America” films and the coming “Avengers: Infinity War,” plays Jeff Gillooly, Ms. Harding’s husband at the time and one of the bumbling accomplices in the tabloid-ready crime. (In 1994, Mr. Gillooly was sentenced to two years in jail and fined $100,000 for his role in that incident; he was released in 1995. Ms. Harding was put on probation for three years and banned for life by the United States Skating Association. Was there any trepidation about taking on the role of this somewhat unsavory character, one who is not only a comically inept criminal but is also part of a mutually abusive relationship that the film portrays unflinchingly? 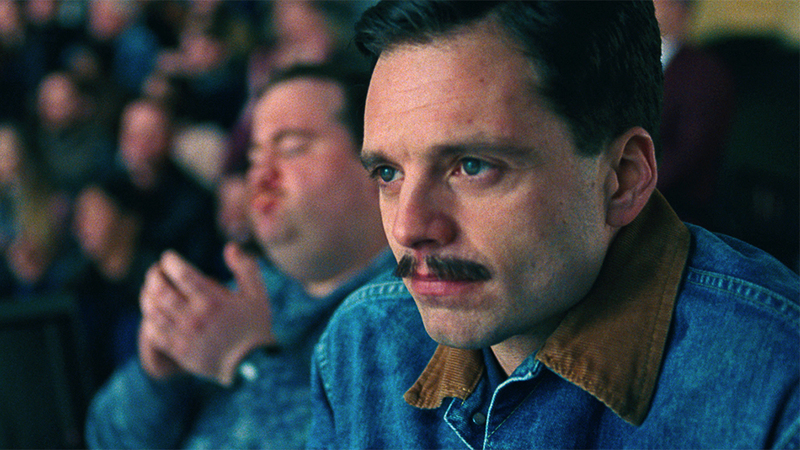 There was, however, one person who was puzzled that Mr. Stan had taken this role: Mr. Gillooly.